Orkney is a modern, straight sided mug which lends itself to contemporary patterns. It has a strap handle making it very comfortable to use. 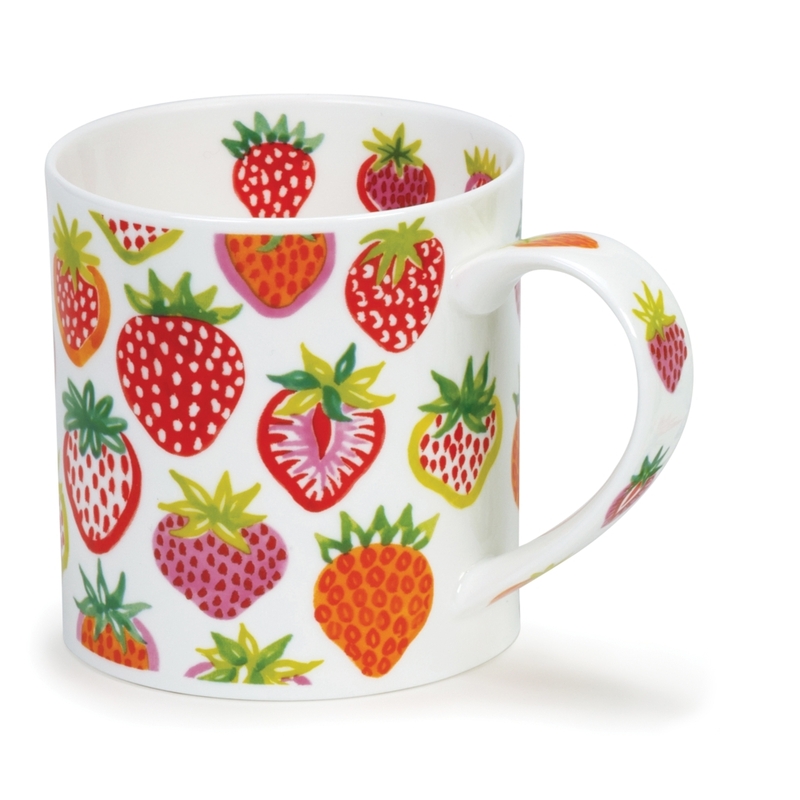 A fashionable mug for a fruit lover, this cheerful Strawberry Sunrise design by Jane Brookshaw is jam packed with bright red and pink strawberries with green sprigs. Born in Wrexham, Jane Brookshaw takes inspiration from everything around her, is passionate about colour and has a love of animals. Jane has been associated with Dunoon for over 20 years and received 'Gift of the Year' in 1994 for her 'Animal Farm' and in 1996, Review of the Year Table Top Category winner for Moggies and Doggies!